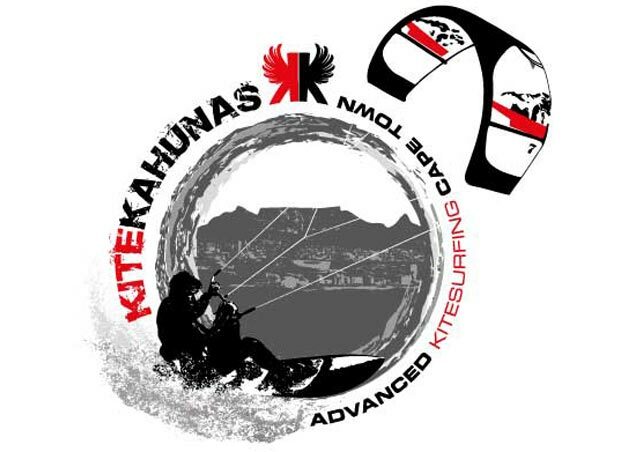 Once you have mastered your four types of turns, with the right timing and co-ordination between controlling your kite and the steering of your board, and once you can add these turns together into a smooth harmoniously flowing downwind slalom movement (Lesson 2 of this wave kitesurfing course), you are ready for the next step: Turns with the right distance control. 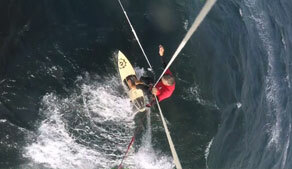 - How to select the wind direction and wave conditions, which are best for learning (important). - The right distancing of your turns to the waves. 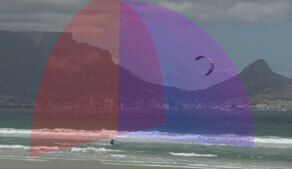 - Full usage and new understanding of the wind window. Fly your kite right. - The right placement of your hands. 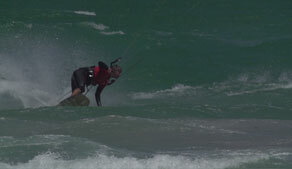 Later, you want to hit a wave with a spectacular maneuver of a top-turn at exactly the right moment. 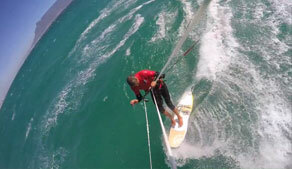 This is why you have to practice your turns with the right distancing. This Lesson will teach you how. You will add, to what you have learned in Lesson 2, the component of distance. 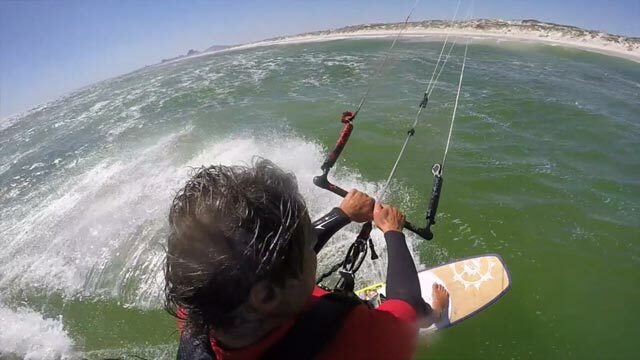 If you don’t have the luxury of waves at your home ground, you can also, at this stage of your practicing, go on a lake or on the sea with choppy water. This lesson will also talk about your strong and your weak side, don't do it wrong from the very beginning. This is important, because you would later want to enjoy all conditions. 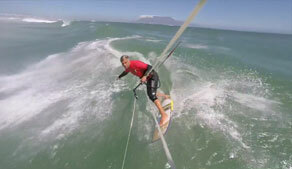 If you do it right, you will perform your carving transitions more often with the right timing. 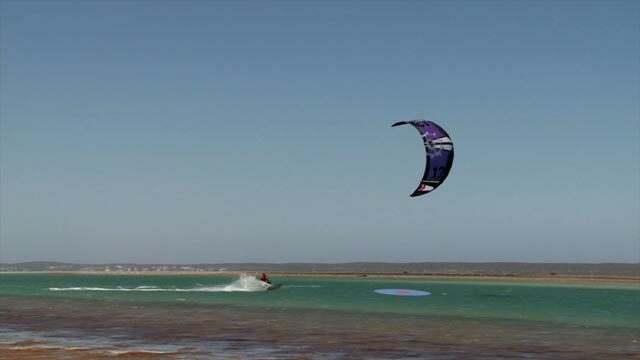 This Lesson will also teach you about your hands when wave kite surfing. This is very important and the video tutorial will tell you why. 9 o�clock, 10 o�clock, 11 o�clock, 12 o�clock, 1 o�clock, 2 o�clock and 3 o�clock. 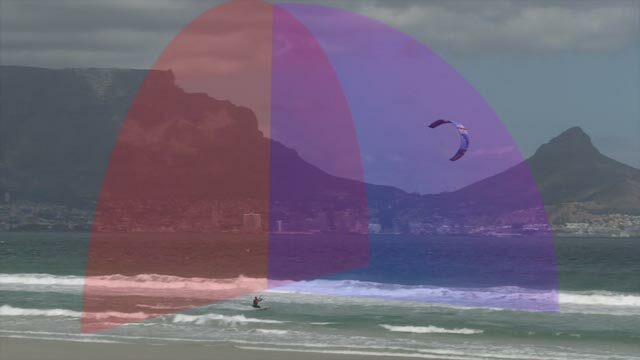 As your wave kitesurfing develops, your understanding of the wind window will change. 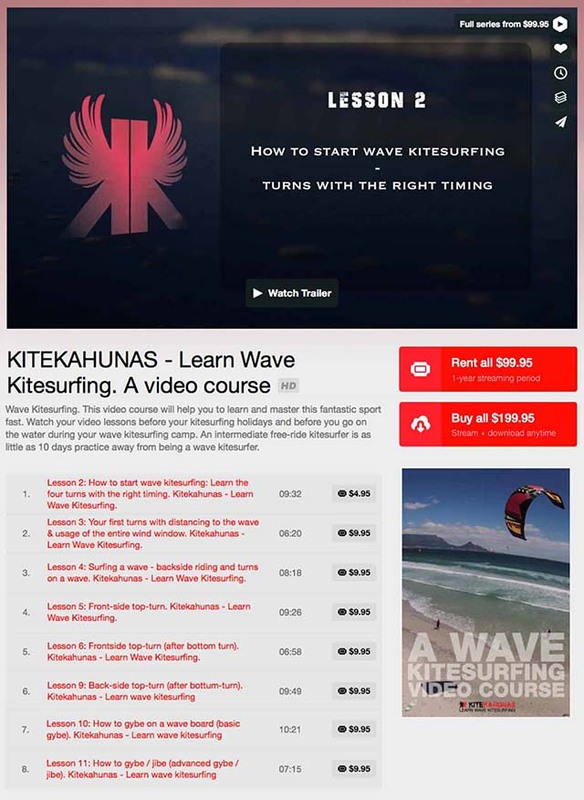 Lesson 3 will tell you how, to achieve that you actively fly your kite right. 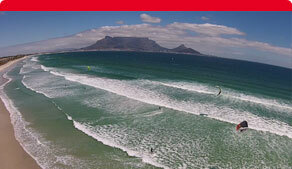 If you get all this right, it will later form the basis of your spectacular bottom-turns and top-turns in the waves.